On January 18th 1998 Oasis played at the Northrop Auditorium in Minneapolis, USA. 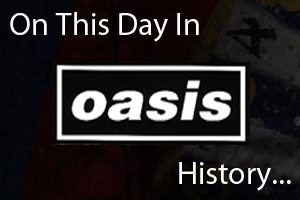 On January 18th 2001 Oasis played at the Hot Festival in Buenos Aires, Argentina. Watch the highlights from the set below. On January 18th 2009 Oasis played at the Arena in Berlin, Germany.